Three Bedroom, Two Bathroom, Living room, Kitchen, Terrace, Barbecue, Car! Our apartment is located in one of the largest and best-organized touristic villages of the area: the Villaggio Taunus. Surrounded by rolling hills, rivers, sea and nature, you will have the chance to enjoy a holiday dedicated to sports, wellness and relaxation. The apartment is simple, comfortable and functional. It can be accessed via a short staircase leading to the terrace in front of the entrance; inside you’ll find the three bedrooms, one double, two with two single beds each, two bathrooms, a living room and the kitchen. The comfortable terrace with barbecue is ideal for fantastic moments of relax in the sun or for pleasant evening dinners! The basic fee of 30 € (Long Term Season) is valid only in low season and for bookings of 30 days minimum. Late check in and late check out have an extra cost of 20 euros (when possible). Numana, also known as the “Lady of the Conero Riviera”, is a wonderful village located in the area of the Regional Park of the Mount Conero. Over 500 feet of Mediterranean vegetation protect the stunning fine gravel beaches and coves and offer breathtaking views of the Adriatic Sea. Here you will find a unique combination of sea and mountains. 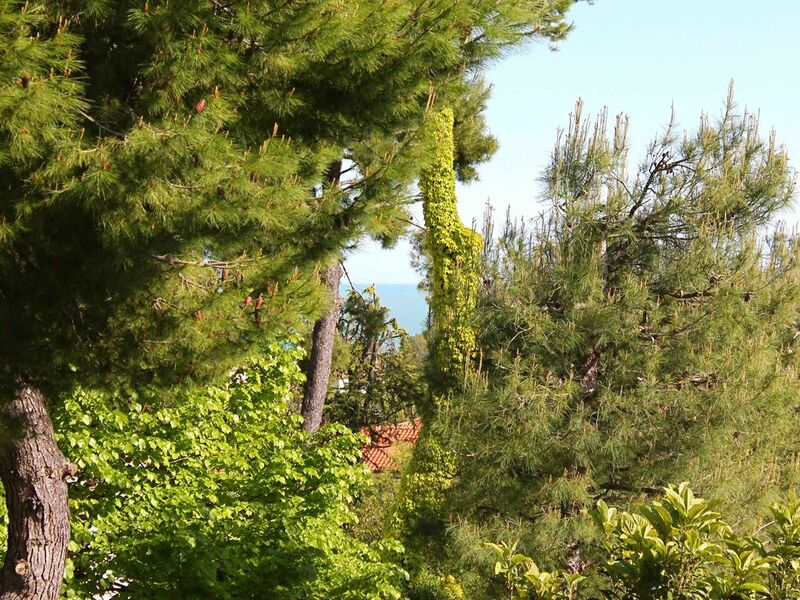 Conero is the perfect place for those who love to merge with nature! In the upper part of the village of Numana you will find the old town, divided by tiny hidden paths that sometimes open up on amazing views of the coast, such as the one accessible from the famous Giardini di Numana Alta. The lower part of the village is the most touristic one and has a lot of commercial areas that have developed around the marina. This part of the Adriatic coast has a dual structure…and this is what it makes it so special! On the northern part of the harbour, you will find a rocky coast with cliffs, coves and beaches hidden between the rocks as the beach of Spiaggiola; while in the southern part, up to Marcelli, you will find a wide and equipped beach of fine gravel, easier to access. You are free to decide what you prefer! Stopping at the station of Porto Recanati, you can use the bus RENI or the taxi towards Numana . (approximately 20km) direct rail service from the station Castelferretti located across from the airport to the train station of Ancona. Final Cleanings extra fee: 60 euros Bed Linen and Towels extra fee: 15 euros per person per week The basic fee of 30 € (Long Term Season) is valid only in low season and for bookings of 30 days minimum. A deposit of 150 euros requested in cash at the arrival and refunded the day of departure Check in: between 15 and 20 Check out: before 10:30. Late check in and late check out have an extra cost of 20 euros (when possible).